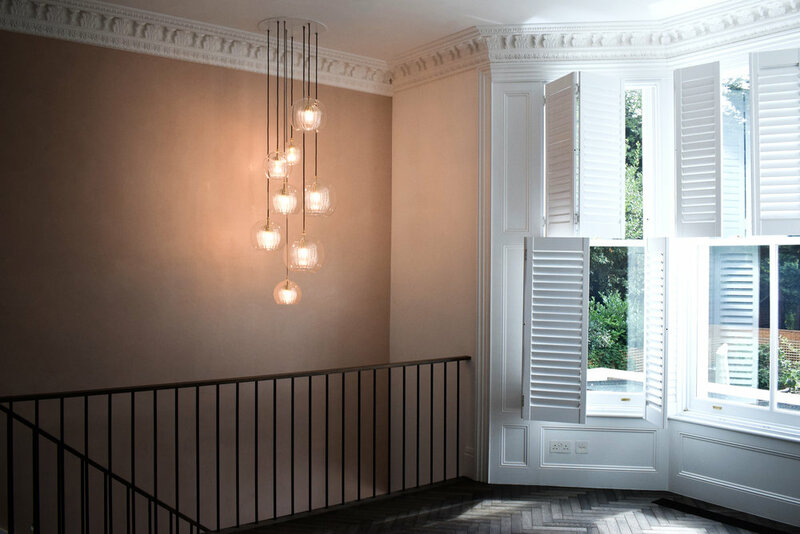 Our debut lighting collection comprising ceiling pendants, a side light and a floor standing lamp. Handmade in Bohemia and London the collection draws upon our love for Czech artisan glass work and British engineered detailing. 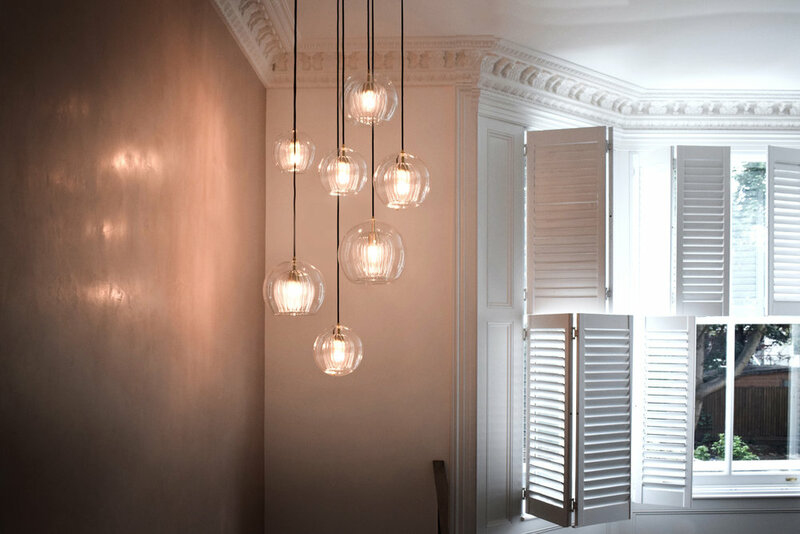 Designed with light-play in mind, the highly prized double walled borosilicate glass shade sparkles with colour as it refracts the rays passing through, emitting a warm playful glow that looks different from every angle.